Hotel Imperial Palace is located in Manali-Naggar Highway, Naggar Road. 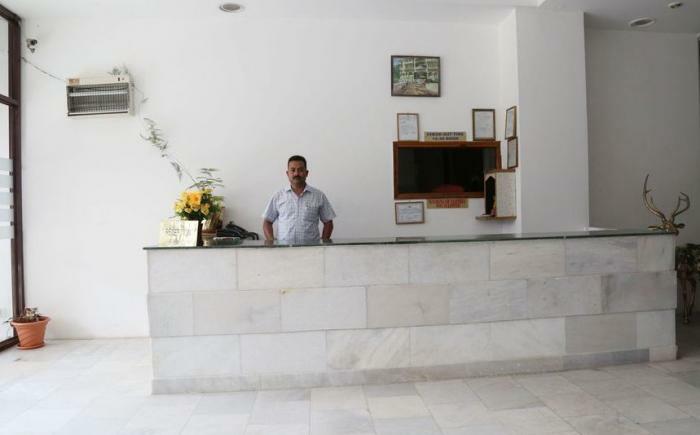 The hotel is 55 km away from Bhuntar Airport. The nearest railhead is Jogindernagar railway station, which is 166 km away. It also provides sightseeing packages to the tourists. Imperial Palace Manali has 56 rooms, which include Deluxe rooms, Super Deluxe rooms and Honeymoon Suites. Manali which lies in the lap of the Kullu valley is one of the most visited tourist spot. It is located at an altitude of 2050 meters above sea level and is spread along the banks of the river Beas. Manali derived its name from Manavalaya meaning the abode of Manu or "Home of Manu" and here, the temples are treated as pilgrimages. It's cool atmosphere provides a perfect haven for the ones afflicted by the hot Indian summers. Manali is also famous for adventure sports like skiing, hiking, mountaineering, para gliding, rafting, trekking, kayaking and mountain biking. Manali is quite famous for its lush green forests of deodar and snow capped mountains. Imperial Palace Manali is known for traditional hospitality. Avail best deal in Imperial Palace, Manali. Book room in Imperial Palace, Manali and avail contemporary amenities.